When it’s cold out, we always make sure to bundle up in a hat, gloves, and a nice warm coat. This protects us from the cold and the snow and makes going out and about no problem at all. A dog’s coat of fur works like a coat that we wear, keeping him warm and protecting him from the elements, but sometimes his fur isn’t enough (which is probably why you're looking for the best dog jackets). A nice dog coat can help your pet stay warm, protect him from the cold, and can make look stylish as can be. 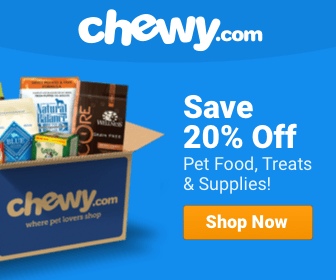 Does Your Dog Need Clothing? Many people find clothing for pets to be a little over the top and something that only the most zealous of pet owners would force their dogs to do, but dog clothing can serve a functional, as well as a fashionable, purpose. One thing that is good to know is that there are no known detrimental effects to clothing your dog. If you are wondering if your dog needs a coat to stay warm then the easiest way to know is to listen to your dog. If your dog shivers, is reluctant to go outside when it is cold, spend a lot of time near the heat sources of your home, or tends to curl up to conserve heat then it is likely that your dog is cold and would be well served with a coat. Small, light dogs that have thinner, shorter coats of fur often have trouble keeping themselves warm. Larger dogs with coarse coats can generally stay warm, but if they are sick or have a weak immune system a good coat would be a good idea. You should also consider clothing your dog while he is inside if you keep the temperature in your home low and tend to rely on heavy clothing or blankets to keep yourself warm. As with any clothes shopping expedition the first step is to find the right size. Start by measuring your dog’s neck, chest, and length from neck to waist. The goal is to make sure that the jacket is tight enough to provide warmth and protection without being painful or so loose as to be easy to slip out of. Ideally you can bring your dog shopping and have her try the jacket on but these measurements will be helpful in a pinch. Once you have found the perfect piece, put it on your dog. Make sure that it is easy to put on and take off and check your dog’s legs and neck to ensure that they retain freedom of movement. Keep an eye out for zippers, buttons, tags, cords, or any other part that could be bitten or chewed off as these could be a hazard for your pet. Finally, consider the material that the jacket is made of. If you are expecting to take your dog for a walk in the rain or snow then a waterproof material is essential. If your dog has sensitive skin then make sure the interior of the coat is made of a soft material like cotton or wool. If you don’t need it to be waterproof then an all cloth sweater that is washable makes care much easier. 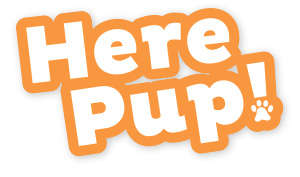 You should also consider getting a jacket in a brightly colored material or one that will contrast with the surroundings of areas that you generally bring your dog. This will make it easier to find your dog if they get lost or run off. Outside of keeping your dog warm and healthy, jackets can provide a number of benefits. One of the more counterintuitive benefits is that some jackets are designed to keep your dog cool rather than warm. When humans get warm, we sweat as a way to keep ourselves cool, but dogs cannot sweat. This is why you often see them walking around with their tongues out. If you soak a cooling coat in water and put it on your dog it simulates the effect of sweat for your dog. As the water in the coat evaporates your dog sheds heat into the atmosphere, helping her stay cool. Jackets also help keep your pet clean, especially if they are made of a waterproof material. Gone is the need for your dog to splatter water, mud, and other dirt around after they come in from playing. When you take the jacket off just throw it in with the rest of your laundry and the job is done. Another type of clothing that your dog may benefit from is a pair of boots. Especially in cold, icy climates where road salt is used to reduce slipping risks. Road salt is a health danger to dogs both in cases where they eat the salt or when they have to walk on it. Prolonged exposure to road salt on your pet’s paws can cause pain, tenderness, and even cut them open. A set of boots can protect your dog’s feet from these dangers, and can be useful for protection from the elements in other situations, such as on hikes. This comfortably designed jacket will keep your dog warm and toasty no matter the weather and is designed with a number of features to bring it to the top of the pile as far as dog jackets go. It is designed to tightly hug your dog’s body but is made of a soft flexible material to maintain full range of motion. It is made of recycled fleece to make it environmentally friendly and keep it lightweight. The zipper is located to make it easy to put on and take off but hard for your dog to chew on. To top things off its trim is reflective making it a breeze to find your dog in the dark. If you are looking for a high quality fleece jacket for your dog, this is a great choice. As its name implies, this coat is designed for cold winter walks in the snow. It is designed to fit even large dogs, and comes with adjustable neck straps so it can be customized to fit your dog perfectly. 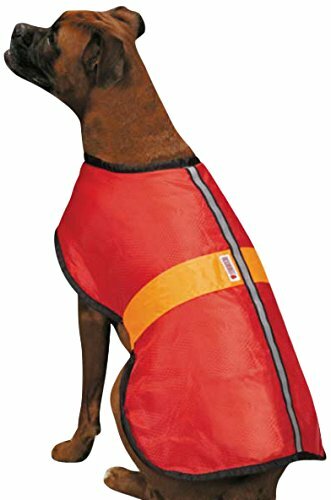 One downside of the jacket is that it lacks a way to secure a leash to it, so you will need to consider how you tend to leash your dog when purchasing this jacket. If you need an inexpensive jacket that will keep warmth in and the elements out, consider the Nor’easter. This cold weather coat is designed for active pets that need some help keeping warm during the colder months of the year. It secures with adjustable Velcro straps making it easy to put on and take off. The adjustable straps also allow you to customize it to fit your pet perfectly. The outside of the jacket is made of nylon and it is lined with fleece to ensure maximum comfort. It also comes in a number of colors so you can keep your dog looking stylish. This jacket is perfect for active dogs because of its reflective properties. If your dog likes to play and run around outside the reflective stripe will make it easy to find him again. This is a jacket designed to keep your pet cool in the summer months. Its “step in” design makes it easy to put on your pet and it holds enough water to provide hours of cooling for your pet. 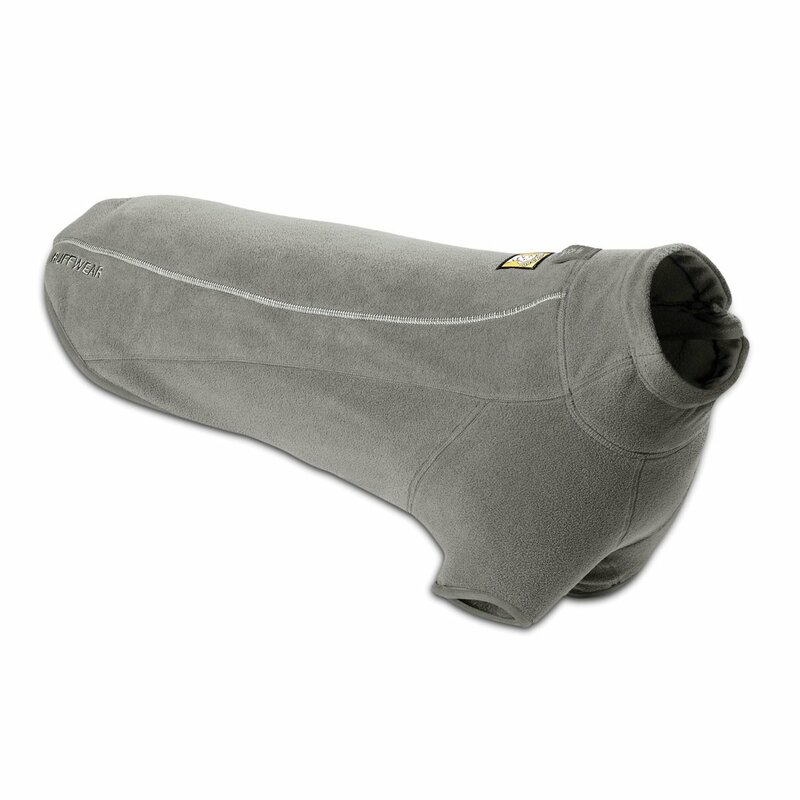 It is made of a soft, light, flexible material to make sure your dog is comfortable and retains full range of motion. The jacket secures with Velcro along your dog’s back, making it easy to customize the fit. 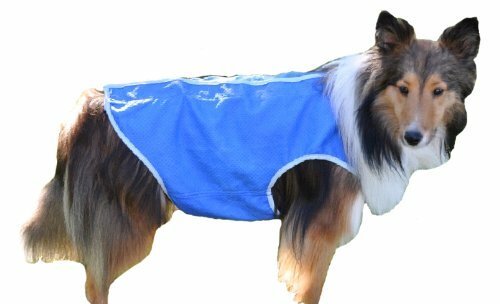 If you need an easy way to keep your dog from overheating during your walks, the Cool Runners Jacket will fit the bill. This polyester jacket will keep your dog as warm as a blanket would. Its reversible design makes it like two jackets in one, allowing you to make it a waterproof coat when the conditions call for it. The coat comes in many sizes and colors letting you customize the fit and the style to your pet. It is machine washable making care a breeze but it needs to be line dried. 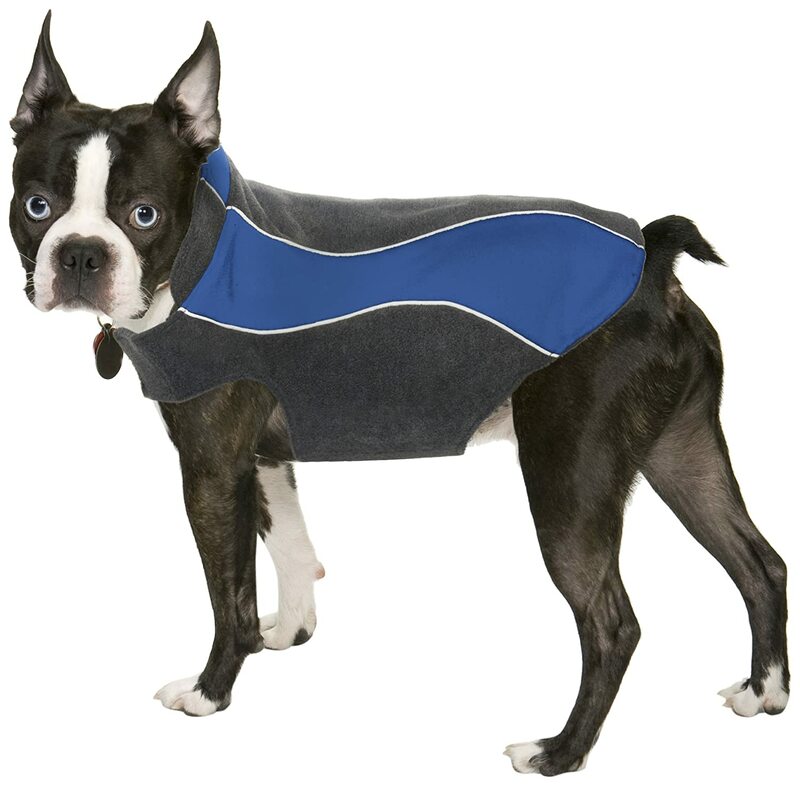 The coat secures with Velcro across your pet’s belly, making it customizing the fit easy. It also features a reflective stripe and a paw print design on the neck and back, making it easy to locate your dog if she tends to run off. 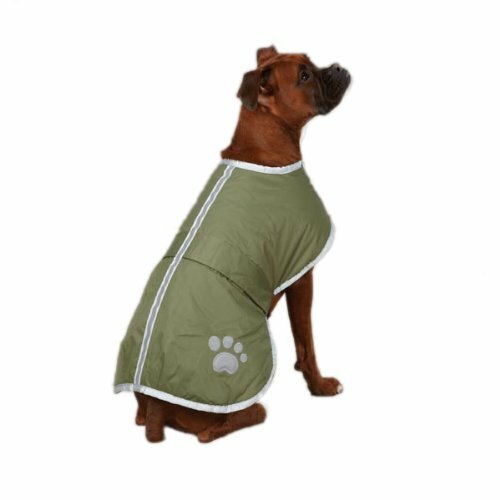 If you are looking for an inexpensive jacket that can multitask as a raincoat for your dog, this blanket coat will meet all your needs.